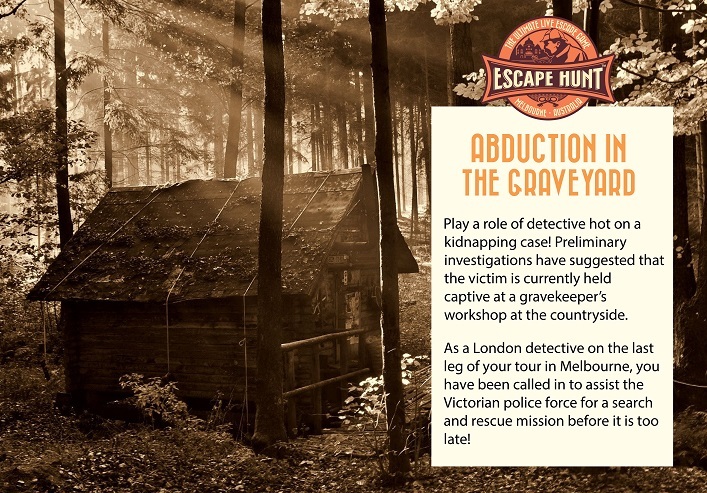 The Escape Hunt Experience is an adventure like no other - exciting, addictive, challenging, educational & above all, fun! The latest and best idea for corporate events as team bonding exercise!!!! You will voyage back 100 years in time & play the part of a famous London detective, Shylock Barnes (or Charlotte Barnes), solving challenging mysteries set in Melbourne. Book now to experience the excitement that is taking the world by storm! 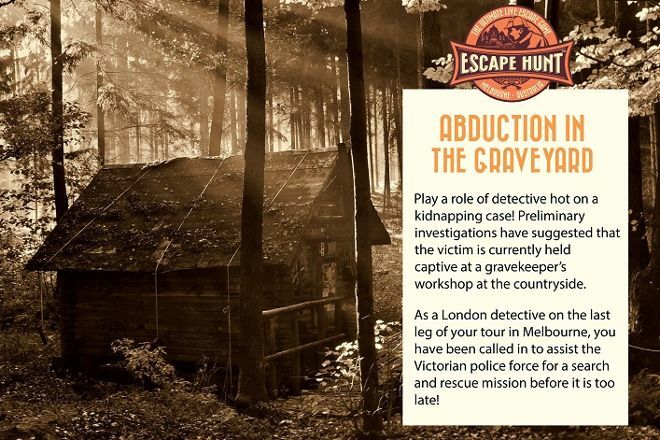 The Escape Hunt Experience is also perfect for corporate team building events. Will you be able to unravel the mysteries, piece together the clues and save the day, or will you fall prey to the perpetrator's devious mind? Arrange your visit to Escape Hunt Melbourne and discover more family-friendly attractions in Melbourne using our Melbourne trip itinerary maker . We had a blast. We were looking for something different and fun. This is both!! We’re not the kind of people who love puzzles and this was a bit left field for us, but we’re so glad we did it. The games were challenging but not impossible. The props and other effects were quite well done. The staff were friendly and very helpful. They accommodated us after we had to change the booking time. Once we arrived they made us feel welcomed, and afterward made us feel like we’d accomplished something. We’re looking forward to getting back and going through another room! It was $35 and 60 minutes that left me disappointed. I think our room may have been particularly bad (The Odditorium). There were perhaps a dozen 'puzzles' with all but 3 being to unlock a padlock to get the next set of clues. I LOVE problem solving puzzles. I do MENSA puzzles for fun. This was just frustrating, not interesting. It was very dark - just to slow you down as you tried to put combos into locks. The flashlight batteries were low and I used my phones light to see. The employee was really nice and repeatedly told us we were doing it right and had worked it out, so just try entering it again and "push down on it" or "push it hard" or, or, or... The problem was the gear was too warn out and needed replacing. It just doesn't work. Other teams from work in the other rooms had fun, so maybe it was just this room/experience. Unfortunately my group didn't enjoy it and wanted it to end. Next time we will do the "Pasta Tower Challenge" instead. Hope you have better luck.